Product categories of Syringe Filter, we are specialized manufacturers from China, Syringe Filter, Pp Syringe Filter suppliers/factory, wholesale high-quality products of Syringe Filters For Laboratory R & D and manufacturing, we have the perfect after-sales service and technical support. Look forward to your cooperation! Syringe Filters may be used to remove particles from a sample, prior to analysis by HPLC. Particles easily damage an HPLC due to the narrow bore and high pressures within. 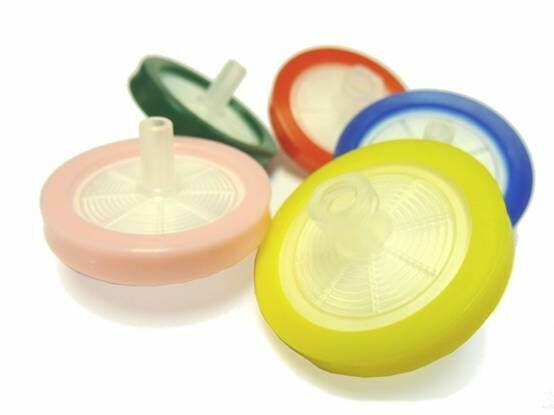 Our syringe filters are made using polypropylene medical-grade housings with Luer-Lock and Luer-Slip fittings in compliance with ISO 594-1. Syringe filters with high burst strength for assured performance. Manufactured to ISO 9002 and GMP standard and 100% integrity tested.